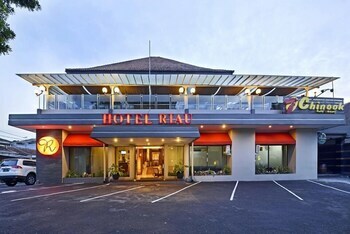 With a stay at Hotel Riau in Bandung (Bandung Wetan), you'll be within a 10-minute drive of Gedung Sate and Riau Street Factory Outlets. Free self parking is available onsite. With a stay at Airy Mataram Cakranegara Maktal 8 Lombok in Mataram, you'll be within a 15-minute walk of Mataram Mall and Pura Meru. With a stay at Airy Dago Tubagus Ismail Delapan 39 Bandung in Bandung (Coblong), you'll be within a 15-minute drive of Bandung Zoo and Padjadjaran University.